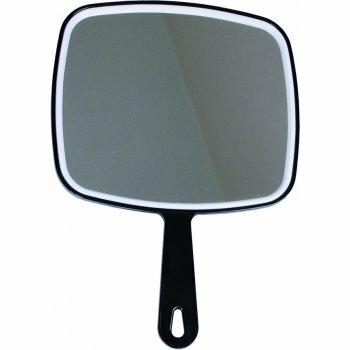 A useful mirror for professional salon use. It features a black handle, with a hook hole for storage and a white mirror surround. The mirror itself measures 20cm/20mm in width.